We’re excited and honored to announce that we’ve recently partnered with advertising agency Wunderman Los Angles in helping to spread awareness of our organization. After many hours of hard work, the team presented us with this beautiful print advertisement. 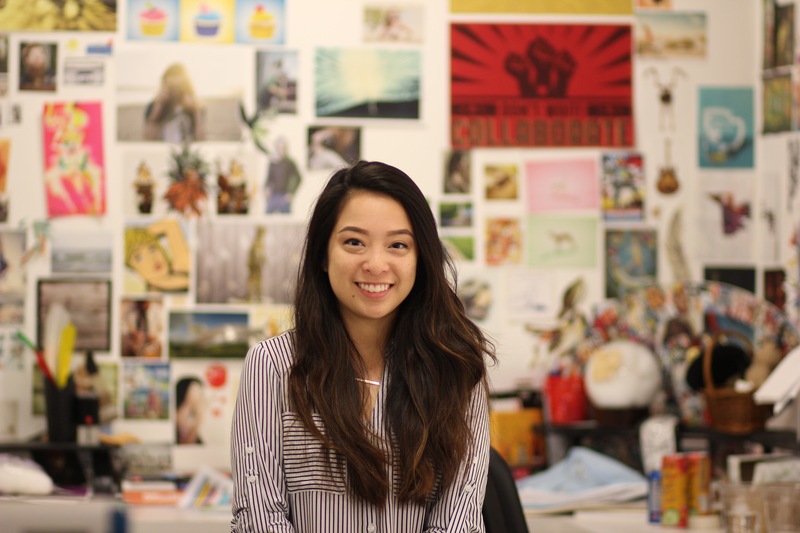 We spoke with the designer for the ad, Erin Hiromoto from Wunderman, to get to know a little more about her and to talk about what inspired the team’s work. In high school, I visited a nursing home, where I created handmade cards for the residents there. I listened to their stories and put them into words and design. We then sent the cards out to loved ones they wanted to strengthen their connections with. After seeing the joy I brought in becoming their personal messenger, I wanted to continue my role as a messenger for others through my designs and artwork by giving people a voice. How was the Pack for a Purpose print ad influenced? We were inspired by the idea that something small can have a big impact. We wanted to create a playful visual to show how items that people donate and a simple action can open up a world of opportunities and possibilities for children. We wanted to illustrate that certain items, whether it’s a soccer ball or a pencil, can foster a child’s creativity, growth and imagination. What does Pack for a Purpose mean to you? Pack for a Purpose is a way for anyone to make a difference. 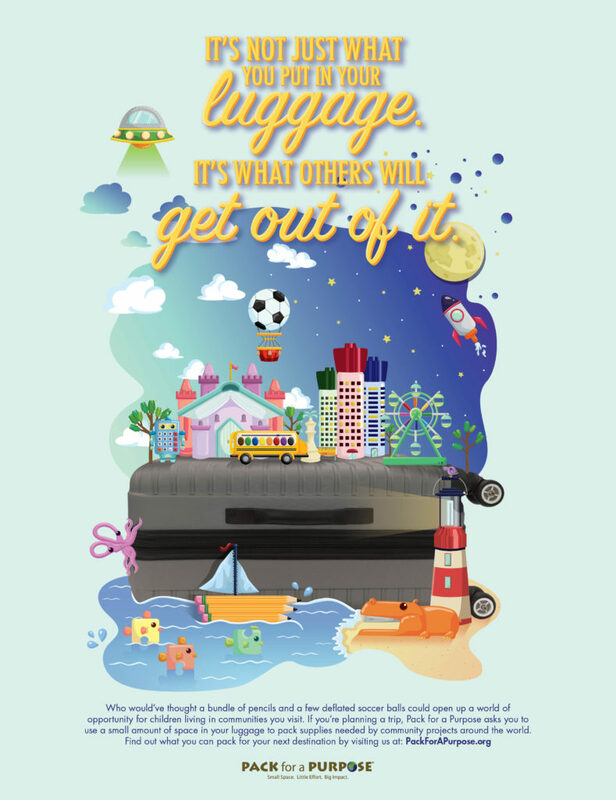 Just like the print ad design, Pack for a Purpose, through their various initiatives, creates opportunities for children, adults and animals. With this organization, anyone can make a difference simply by traveling to their favorite destination. I am blessed to have had the chance to be a part of this and have been inspired to continue creating artwork and designs that will impact others. Thank you, Erin, and thank you to the team at Wunderman!